You spend a good chunk of change on your wardrobe. You put a lot of time and effort into trying on the clothes and making sure they fit, and when you find that perfect outfit, you are ecstatic. But then it’s time to wash the garments, and panic ensues. The last thing you want to do is ruin the perfect-fitting, compliment-receiving piece of clothing, but is dry cleaning really the only way to keep your clothes looking nice? Not always. 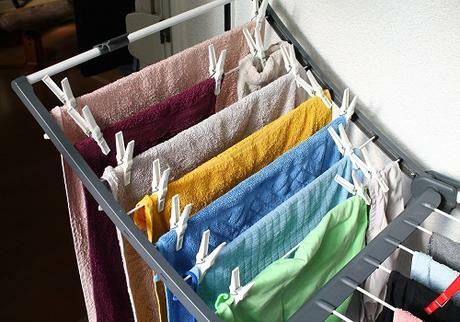 Here are five insider tips for doing your laundry like a pro. This may seem like Laundry 101, but you would be surprised how many people forget to check the label of their garments before washing them. These labels are the first line of defense against keeping your clothes looking like new. They will tell you what temperature to wash the clothes in, and what cycle to use. The label also designates what temperature you should dry the clothes—if you can dry them at all—and what setting to put your iron on. Literally everything you need for proper clothing care is right there for you. If you choose not to follow it, maybe nothing will happen, or maybe the clothing will come out of the dryer two sizes too small and ruined forever. Don’t take your chances. The thing about any food or drink is that the longer it sits on fabric, the more it absorbs into the fibers of it. So if you spill something, do not delay and spot clean it as quickly as humanly possible. However, this does not mean putting club soda on it or using some other old wives’ tale—those can actually make stains worse. What it means is simply dabbing the stain with a clean cloth and cold water (never rub!) and then getting it to a professional dry cleaner as soon as you can. The truth is that not all clothes have to be dry cleaned—yes, even the ones that say dry clean only. When a label says dry clean only, it really means that the fabric will not hold up well in the agitation and extended water exposure that machine washing entails. It also means it cannot handle the high temps in the dryer. If you don’t want the expense of dry cleaning, you can try hand washing the garment, as it is usually just as effective. That being said, you have to approach hand washing very methodically. Always make sure the sink is clean, use cold water, and fill up the sink first before adding the garments (running water can stretch fabrics). Use a very small amount of detergent, because too many bubbles can leave to residue in the fibers of the fabric. Now it’s time to submerge the clothing into the water. Let it soak for about five minutes, and then very gently swish it in the water to get a tiny bit of agitation going. Don’t overdo this movement because you don’t want the fabric to stretch out. Finally, lift up the garment, fill the sink with fresh water, and put it back in to rinse. Repeat this until there are no more visible suds, and then let the garment air dry. As soon as you get a stain, make a note of what caused it and when it occurred. This information will ensure that the dry cleaner can properly treat the stain. If they don’t know what the stain is or how long it has been on the fabric, they will have a harder time treating it. You may think you will remember after the fact, but you probably won’t, so just take a minute to write it down on a notepad or in a notes app on your phone. If you have a high-efficiency washing machine—and most of the ones sold today are—then you probably don’t need as much laundry detergent as the container says you do. Ease off on using too much laundry detergent. As long as you are properly spot treating the stains, you can use less detergent and save yourself some money. There you have it: The five tips you need to know to keep your new outfit looking pristine wash after wash. So go ahead and splurge on that blouse that looks like it was made for you; you now know how to keep it that way.